Since its pilot in 2015 the Power of Design schools programme has reached 1,000 students in Dublin. The programme, which uses a learning by doing methodology, aims to demonstrate, to primary and secondary students, design’s positive impact on social, cultural and economic life while creating an ideal showcase for the Make Shape Change video piece. Workshops take place in the classroom and are delivered by volunteers from the working world with relevant experience. 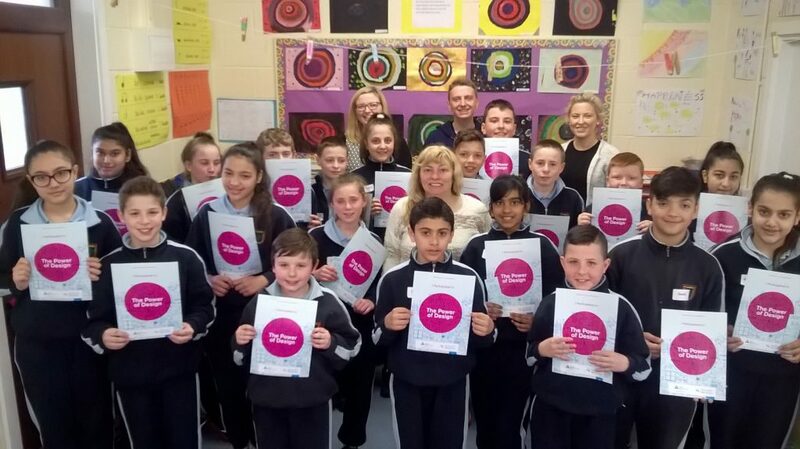 JAI works with Dublin City Council to recruit, train and support these volunteers. Along with their guest of honour Minister Mary Mitchell O’Connor, T.D., and hosts Dublin City Council, the key supporter and advocate of the Power of Design Programme, Junior Achievement Ireland will be hosting a Power of Design Recognition Ceremony in Dublin City Wood Quay venue on the 26th January 2017, to celebrate this milestone and recognise the achievements of our 2015-16 Power of Design Volunteers and some of the students they impacted.